Be part of something big. Not just acres and acres of New York City’s most vibrant and energetic waterfront, but also of the park community. Thank you for your interest in volunteering at Brooklyn Bridge Park. Volunteers are important members of the Brooklyn Bridge Park community and are critical to the success of the park and our programs. For any questions about volunteering at Brooklyn Bridge Park, please email Elizabeth Harnett at eharnett@brooklynbridgepark.org. To become a volunteer, please complete the Volunteer Application and join us for one of our Volunteer Orientations. All volunteers must submit the Conservancy’s waiver and bring it to their first volunteer activity in the park. Volunteers 18 years old or younger should submit their waiver signed by a parent or guardian before any activity begins; volunteers 16 years old or younger must be accompanied by a parent or guardian. Current volunteers, please log-in to your Volunteer Profile. Coastal Cleanup Volunteers give back to the community by helping us remove hundreds of pounds of trash from Pier 1 salt marshes and beaches. Scheduled times are according to low tides, from May - October. Families are welcome to join us. Volunteers under 18 must submit the Conservancy’s waiver signed by a parent or guardian before any activity begins; volunteers 16 years old or younger must be accompanied by a parent or guardian. Groups with 10 members or fewer are welcome to join in our 2-hour long Coastal Cleanup sessions. Space is limited. Please contact Volunteer Coordinator, Elizabeth Harnett at eharnett@brooklynbridgepark.org. Spring Spruce Up & Cutback volunteers enjoy the outdoors and getting their hands dirty as they help prepare the park for a new growing season. Volunteers, with various levels of experience, support BBP Gardeners by cutting back overwintered grasses and perennials, removing winter debris, and helping tidy up the planting beds. Volunteers can register here. Groups with 10 members or less are welcome to join our Spring Spruce Up & Cutback sessions. Space is limited. Please contact Volunteer Coordinator, Elizabeth Harnett at eharnett@brooklynbridgepark.org. 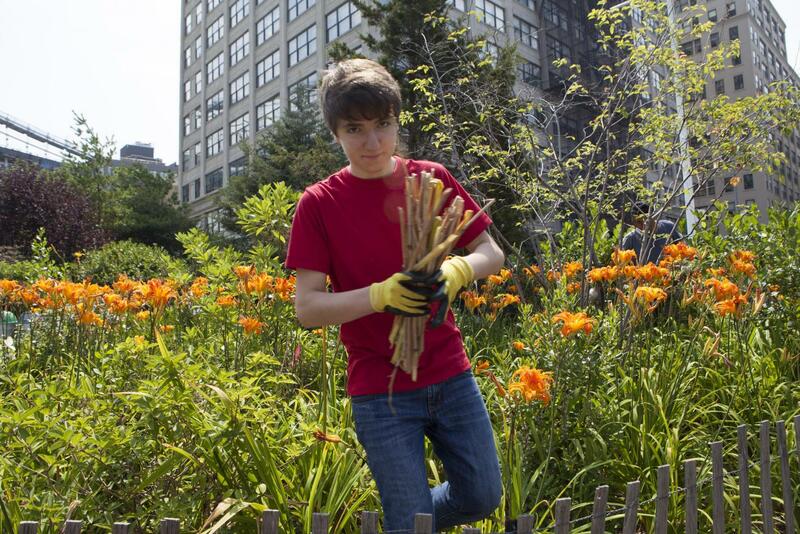 Join this dedicated corps of volunteers who keep Brooklyn Bridge Park healthy and beautiful. Green Team is a weekly volunteer group that provides essential horticultural care to the park. Weekly projects may include planting, mulching, or removing invasive plants. Families are welcome to join us. Volunteers under 18 must submit the Conservancy’s waiver signed by a parent or guardian before any activity begins; volunteers 16 years old or younger must be accompanied by a parent or guardian. Green Team meets every Saturday, 10 AM - 12 PM from May - October. Groups with 10 members or fewer are welcome to join Saturday Green Team sessions. Space is limited. Please contact Volunteer Coordinator, Elizabeth Harnett at eharnett@brooklynbridgepark.org. Teens are invited to pitch in at Brooklyn Bridge Park while exploring and learning more about the environment. Teens Interested in & Dedicated to Environmental Sciences (TIDES) complete community service hours through gardening, seining, coastal cleanup, and clearing oyster cages. This program is for teens ages 14-18, and runs for eight sessions (seven Saturdays and one Sunday), 9 AM - 12 PM, from September to October. Interested volunteers must fill out the TIDES Application by July 31. A program for volunteers with disabilities who commit to lend a hand in the park for six weeks. Park Peers assist with maintenance and gardening tasks while learning professional and social skills. Service agencies with a group of 10 members or fewer must connect with the Volunteer Coordinator to coordinate in advance. Opportunities available in spring and fall. Space is limited. Learn all aspects of public horticulture maintenance while working in one of Brooklyn Bridge Park’s beautifully designed landscapes. 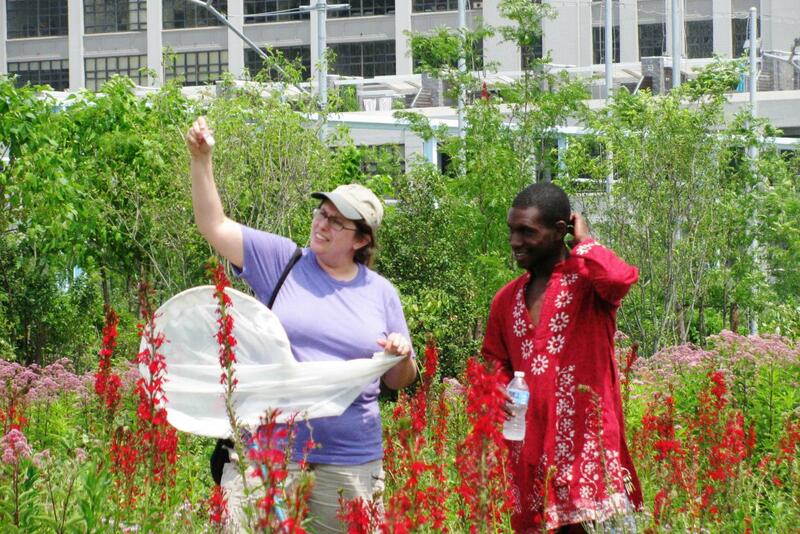 Zone Volunteers work alongside BBP Gardeners to care for the park’s diverse plant communities and habitats. Members of this team must have a strong interest in horticulture, be able to do hard work, and commit to working 3-4 hours per week. Docents lead guided park tours to the public on weekend. 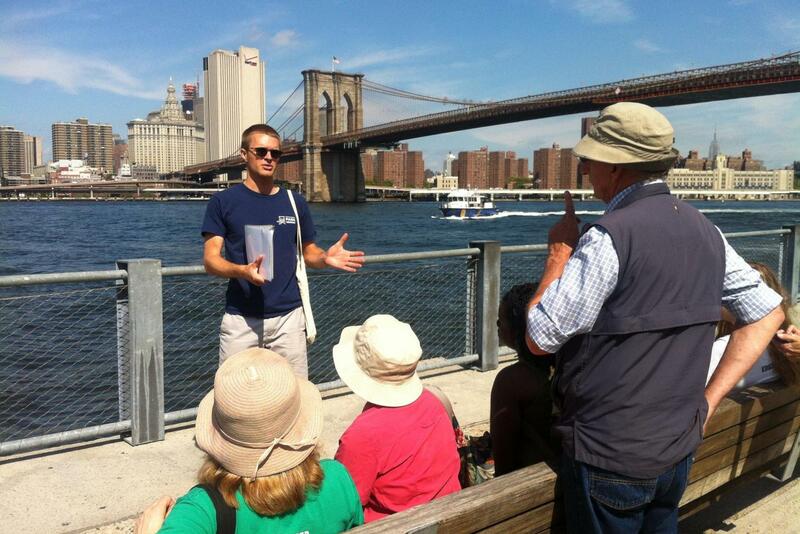 Volunteers represent BBP and The Conservancy to visitors and play a crucial role in educating the public about Brooklyn Bridge Park’s unique design, history, and ecology. Docents are friendly & outgoing, have strong public speaking skills, and are comfortable working outdoors. This committed group of volunteers play a dual role as educators and ambassadors in Brooklyn Bridge Park from March – December. Volunteers help in one of three Education activities: School Programs, Environmental Education Center Open Hours, and Seining. Volunteers receive a schedule and guidelines (depending on the activity) from Education staff before completing the first shift. Orientation and Training is required. Stationed at the Conservancy’s Mobile Info Station, Park Greeters welcome visitors to Brooklyn Bridge Park. Greeters are important members of the BBP Visitor Services team who engage the public, answer questions, distribute park literature, and more. Volunteers will receive training for this position and must be outgoing and comfortable working outdoors. Training sessions available regularly in summer. Volunteers offer their time and talents to the Conservancy to support Brooklyn Bridge Park’s social media, educational materials, and special projects. Volunteer assignments (1-3 hours long) are available when and if opportunities come up, most likely in the warmer months, and are scheduled in a first-come, first-served basis. Volunteers must attend an Orientation before getting an assignment. Brooklyn Bridge Park Conservancy produces more than 500 exciting, free public programs every year. These cultural, recreational, and educational programs attract over 180,000 attendees and include fitness classes, history tours, a popular film series, and more. Public Program Volunteers greet and provide information to the public, help facilitate programs, assist in the set-up and break down of equipment, and administer park surveys. The Film Committee is responsible for selecting films for Movies With A View in the winter, and collecting demographic information and donations during screenings in the summer. Volunteers commit to attending three monthly meetings, between December and February, and to volunteering at two screenings on Thursday nights, between July and August. If you’re interested in becoming a film committee member, please reach out to Volunteer Coordinator Elizabeth Harnett at eharnett@brooklynbridgepark.org for more information. 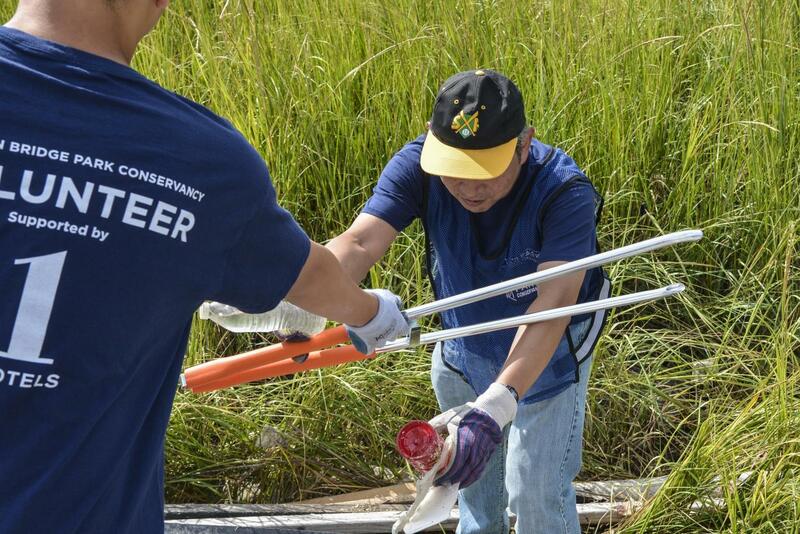 Corporate volunteer groups play a vital role in the health and upkeep of Brooklyn Bridge Park. Large-scale horticultural and maintenance projects promote team-building while providing an important service to the park. Brooklyn Bridge Park can host corporate groups with up to 25 members. Activities are based on the needs of the park at the time of the scheduled visit and are typically scheduled for 2 hours. 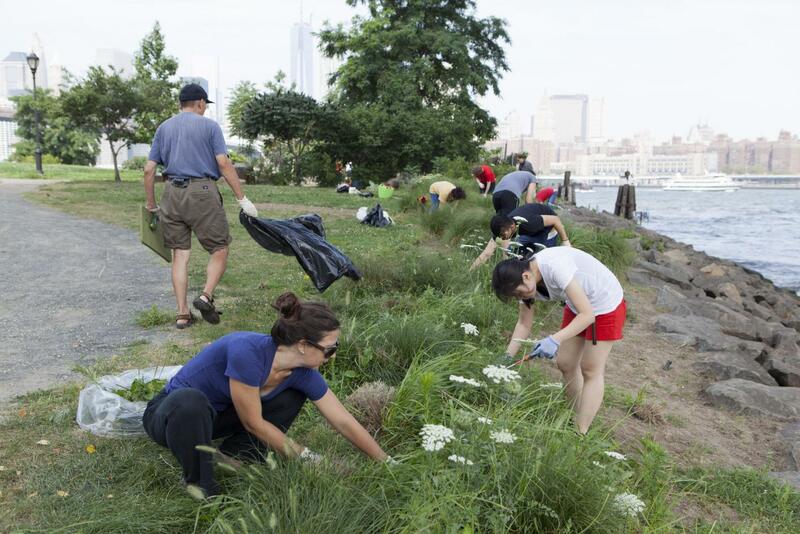 To best serve the park and its needs, corporate volunteer projects at Brooklyn Bridge Park are an exclusive benefit of the Brooklyn Bridge Park Conservancy Corporate Membership program at the Patron Level or above. For more information, please contact Volunteer Coordinator, Elizabeth Harnett at eharnett@brooklynbridgepark.org. School and community groups are welcome to schedule outdoor volunteer projects at Brooklyn Bridge Park. Community service projects promote environmental stewardship while providing hands-on connections to concepts learned in the classroom. BBP can host groups with up to 25 members. Activities are based on the needs of the park at the time of the visit. The cost for school & community service projects is $150. Please contact Volunteer Coordinator, Elizabeth Harnett at eharnett@brooklynbridgepark.org. Credit: Brooklyn Bridge Park Conservancy.